A novelist and short story writer with a practical and research interest in drama and film, script and life writing, I have recorded many interviews with novelists, playwrights, autobiographers and biographers about their approach to writing. 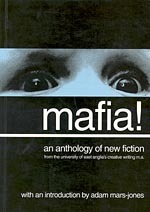 I taught fiction and dramatic writing at UEA over a number of years, and have also facilitated writing activities in a prison. I gained my Creative Writing MA and PhD in Creative and Critical Writing from UEA, and joined the OU in 2003, helping to design and write the materials for a whole new generation of Open University writing courses. My research is focused on writing practice – the production of original work, predominantly fiction, but also script and memoir. I am also interested in the creative process, the relationship between writing and memory, and generic crossovers and interactions between fiction, dramatic and life writing. 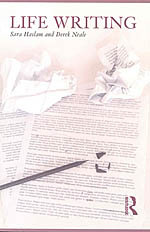 See sample author interviews on Creative Writing (tracks 1-10) on OpenLearn. I convene seminars for the Contemporary Cultures of Writing research group, chairing three seminars on life writing and the borderland between fact and fiction. I currently supervise several PhD students focused on creative writing. Applications in the field are welcome. 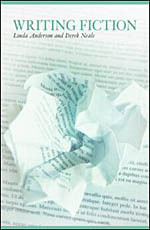 Please see our advice pages about creative writing PhD study. 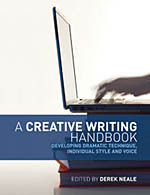 A Creative Writing Handbook: developing dramatic technique, individual style and voice (A&C Black/Open University, 2009) – editor and principal author, contributing chapters on writing fiction and writing for stage, radio and film. 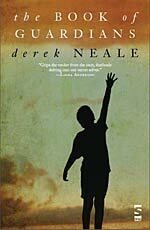 Major contributing author - chapters on the creative process, fiction and life writing. 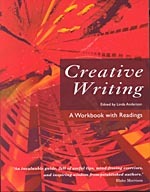 Contributing to the Start Writing suite of courses (A174-6), I also wrote on fiction, life writing and the writing process for Creative Writing (A215). I am Chair of Advanced Creative Writing (A363), and contributed teaching chapters and interviews on fiction, film, stage and radio writing. I also contributed to the English MA and was the OU’s Director of Teaching for English, 2010-13. Presently developing a creative writing MOOC (mass online open course) and writing materials for a module on Creativity and English Language, some of my OU teaching materials are available on OpenLearn, including: from A215, Writing what you know and audio tracks from Start Writing. I regularly engage in discussions and give readings from my own work, for instance, in relation to The Book of Guardians ­at Norwich Millennium Library, Kingston University and Chichester University. I also engage in public discussion about writing, see for instance an extended interview - in conversation with Iain Banks - from the Cheltenham Literature Festival. I have also appeared as guest blogger on The Writers' and Artists' Yearbookwebsite, posting writing exercises on Making a scene, Finding a voice, and Splicing the strands. These have been combined and expanded into an article on Developing Your Style. Launch of cutalongstory.com short story website – reading and NAWE HE networking event. ‘Emergences: Ambiguity, uncertainty, entropy and creativity – chasing an image’, speaking on a NAWE (UK) panel. In association with Norfolk County Council, Waterstones and Salt Publishing – public reading from The Book of Guardians. The Book of Guardians, a reading and discussion – public and postgraduate research and writing seminar. Institute of English Studies, UCL, London. Chaired seminar series at the Institute for English Studies, UCL on Life writing: borderlands between fact and fiction, including the following writers and scholars: Adam Foulds, Prof. Robert Fraser, Rachel Cusk, Dr Nigel Warburton, Blake Morrison, Dr Charles Fernyhough. ‘Under the Page: Bringing the personal into the Critical’, panel presentation at the NAWE annual conference. Centre for Life Narratives research and reading series, invited speaker – ‘Guardian of memory: the novelist as life writer’, reading and discussion ofThe Book of Guardians. ‘Being in Uncertainties, Mysteries and Doubts: Negative Capability and the Role of the Imagination in the Academy Today’, speaking on a NAWE (UK) panel. 2 presentations - ‘Writing from experience, writing from history: approaches in practice, learning and teaching’ and Adaptation, storytelling and the poetry of montage’. National Association of Writers in Education, York. Cut a long story Ltd, Folkestone, UK.